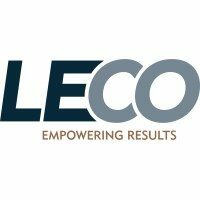 LECO Germany is a wholly owned subsidiary company of the LECO Corporation with its headquarters in St Joseph, Michigan, USA. LECO Germany was formed in 1968 in Germany. Since 1999 we are based in Moenchengladbach, very close to Duesseldorf where we have accumulated a wealth of knowledge and experience in analytical instrumentation and techniques. At the moment (2017) 55 employees are working for LECO and about half are in the sales and service field service for customers. This year, LECO Instrumente GmbH celebrates its 50th anniversary. As Europe’s largest subsidiary, LECO Instrumente GmbH is responsible for the entire product range in Germany, Austria, Switzerland, Luxembourg and Liechtenstein, as well as for the Netherlands and Belgium (Flanders). On October 20, 2015, LECO opened a new European Application and Technology Center (EATC) in Berlin Charlottenburg. Equipped with the latest technologies, the lab provides a deeper insight into the CHNOS and the new Cornerstone product line, materialography, GD-OES and TOF mass spectrometers. The lab also has extensive resources for training, conferences and demonstrations.